Thank you so much to Katie from Katies World for nominating me for this award. This is the first time I have been nominated for this award so I am super excited. You should check out Katies blog as it is really good. She is so brave and inspiring, therefore, check out her blog!!! 2.Write a post to show your award! 3.Give a brief story of how your blog started. 4.Share two pieces of advice for new bloggers! 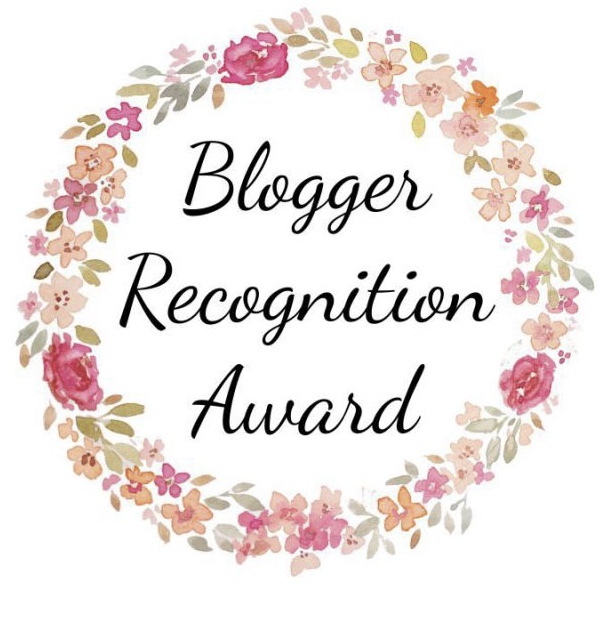 6.Comment on each blog and let them know you have nominated them. Provide the link to the post you created. I started my blog at the start of the year. I had been wanting to blog for a while and knew exactly what my first post was going to be on so the first post had been edited for a while. I wanted to start my blog as I love writing and reading and love talking about things I am passionate about. I have always spoke too much and my blog is a way that I can just ramble if I need to. I actually set up a blog with blogger first, but I didn’t like the way it looked and I didn’t get on with it. I then looked at WordPress and I loved it, I knew I was going to set my blog up with them as it was easy to use and quite simple. After I actually got my blog set up I had to think about what it was that I wanted to blog about as I have many things that I love/love talking about. I knew beauty and baking was going to be on there as they are my passion, and then I thought lifestyle would be good as there are a lot of lifestyle bits that I would love to discuss and share. Lastly, travel, I love travelling and going to new places! I am hoping to do it a lot more from this year. Whenever I travel to new places, whether that is just for a day or for a week away, I love taking pictures of new places and making memories. I knew I definitely wanted travel on my blog as whenever I travel to somewhere new alllll i do is take pictures! I wanted to be able to share my photography onlline. After I set up my blog and finalised everything, it was ready to launch and I had so much support especially from my family, my boyfriend, a couple of friends and a lot of bloggers online. I just want to say, to whoever is reading this thank you for clicking on this post also and giving me so much support by wanting to read my posts. 1. Blog about whatever you want to blog about. If you are passionate about it, then blog about it. Don’t compare yourself to other bloggers as everyone’s blogging journey is different and you will learn that very soon. Just because someone you may also know to be a blogger isn’t blogging about the stuff you blog about then don’t worry as everyone has different interests. 2. Dont care about what people think of you and your blogging. This one for me I found really important. I have never really cared about what people thought of me anyway so this didn’t bother me that much, but there were and still are thoughts that go through my head about what people think of me ( I am sure this is just natural ). In the area that I live, this whole blogging thing doesn’t happen, I think there is 1 girl I know from my area but other than that blogging doesn’t happen around here. When I first announced that I had a blog I knew that people thought “oh god, what is she doing. Why has she started blogging” just because some of the people in my area can be like that and I didn’t even care. I just thought, you know what I am doing what I love so what is the problem? at first you won’t think it but believe me, the people who you think are thinking this stuff are some of the people that are going to be looking at your blog and maybe supporting you. I even get people messaging me saying how good my blog is, and some of the people I would never have thought would have messaged me. You will be judged anyway for whatever you do and people dont like to see you succeed, just remember that. Excited to read everyones replies 🙂 I love reading these posts because I’m a little nosey lol! The ‘not caring what people think’ is my favourite part of this; thanks for posting! Thank you and I think a lot of people should stick by this!